Following last year's introduction of the Tourbillon Skeleton Fire, the first tourbillon model with a fully skeletonized movement created by Armin Strom, the Biel/Bienne-based watchmaker is now presenting the all-black version, the Tourbillon Skeleton Earth. Crafted from stainless steel with a black PVD treatment, the 43.40 mm x 13 mm case houses the hand-wound calibre ATC11-S characterised by the beautifully skeletonized main plate, gear-train bridges and barrel-bridges as well as the symmetrically positioned double going barrel delivering a power reserve of 10 days. 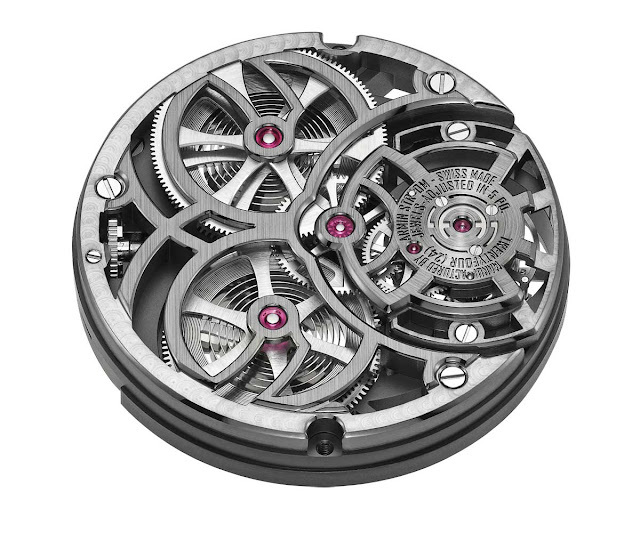 Beating at 18,000 vibrations per hours, this manufacture movement has a thickness of 6.20 mm. Escape wheel and pallets are made of solid gold with hardened functional areas. 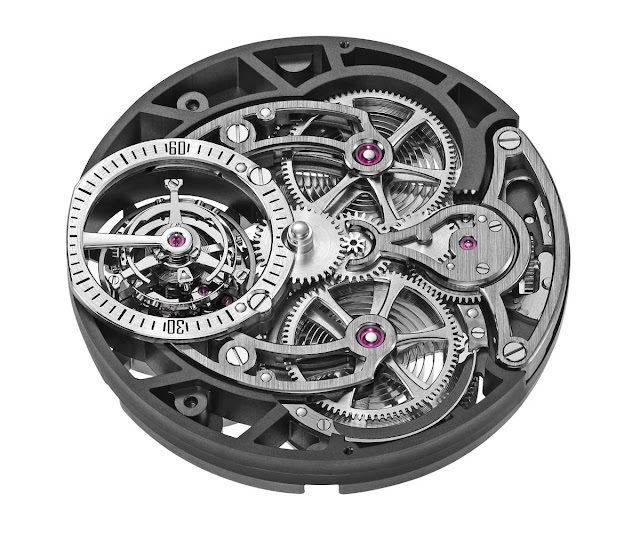 At 9 o'clock, the one-minute tourbillon plays the protagonist while also indicating the passing seconds. Two sapphire crystals with anti-reflective treatment allows the wearer to fully appreciate the movement and the high-quality finishes from both sides. 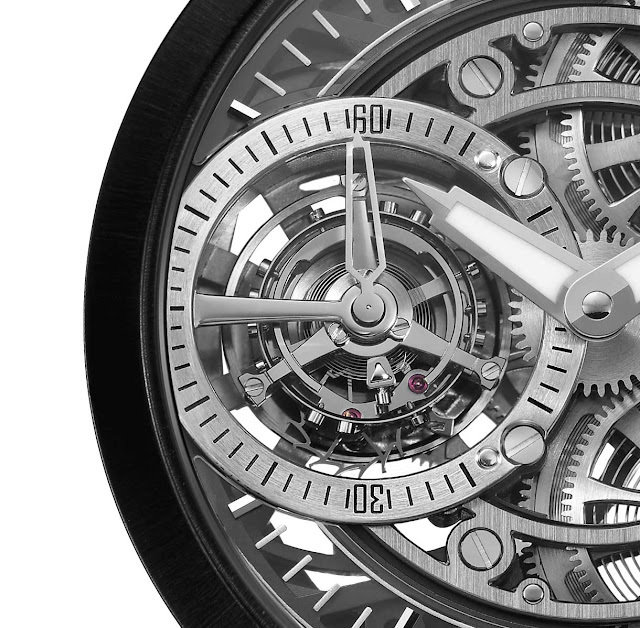 The Tourbillon Skeleton model is a demonstration of technical excellence. Not many watch manufactures capable of producing their own tourbillon and even less can combine a tourbillon and a fully skeletonized movement. 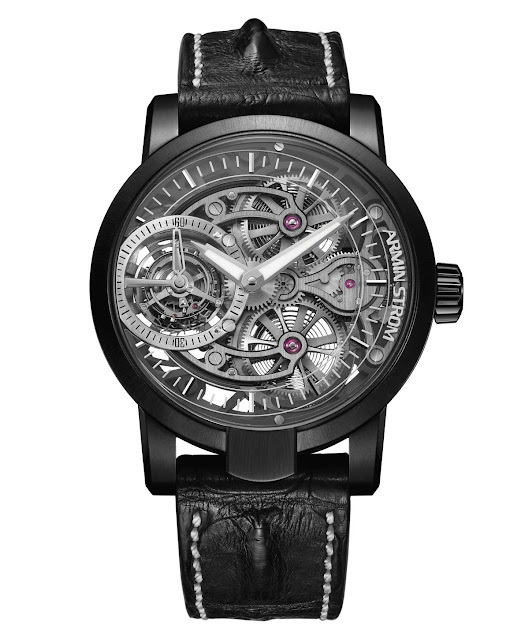 The Armin Strom Tourbillon Skeleton Earth (ref. ST15-TE.90) comes with an alligator horn-back strap as well as an alternate rubber strap and has a price of Swiss Francs 88,000. This watch is a sculpture. I truly love its design. How much is it? 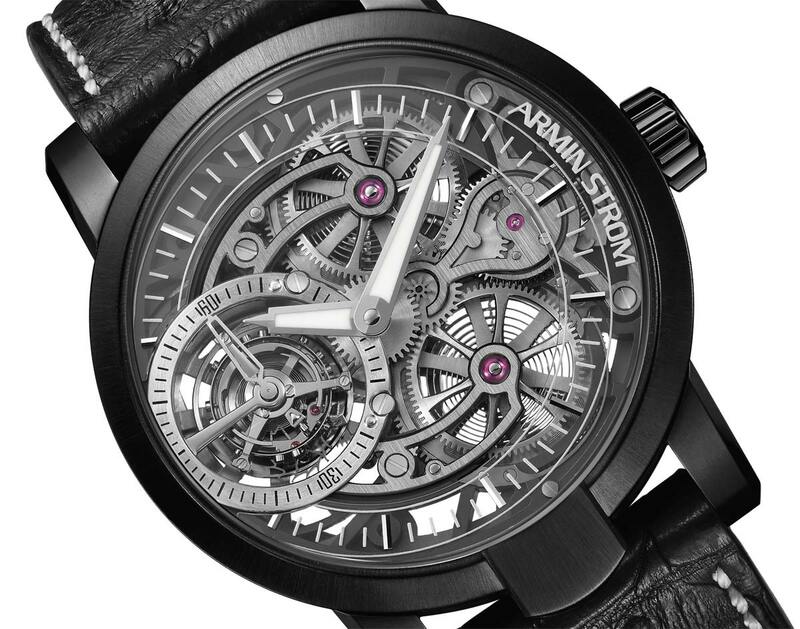 Armin Strom Tourbillon Skeleton Earth. Following last year's introduction of the Tourbillon Skeleton Fire, the first tourbillon model with a fully skeletonized movement created by Armin Strom, the Biel/Bienne-based watchmaker is now presenting the all-black version, the Tourbillon Skeleton Earth. 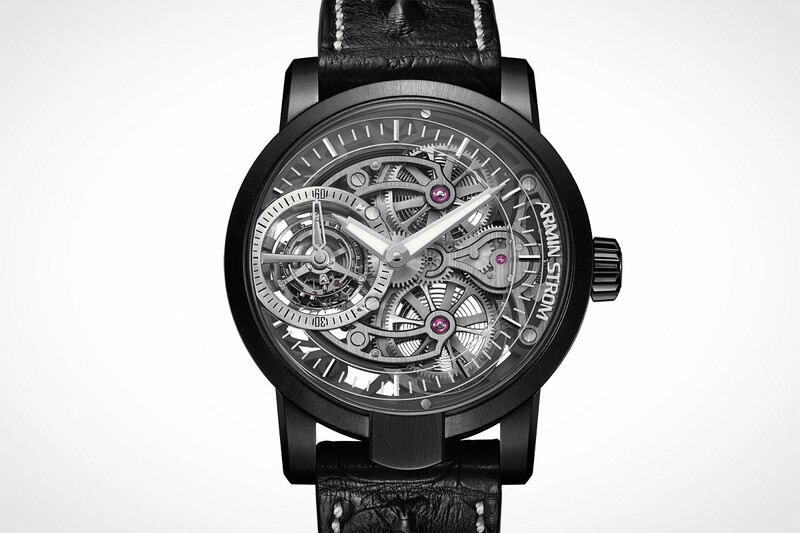 The Armin Strom Tourbillon Skeleton Earth (ref. ST15-TE.90) has a price of Swiss Francs 88,000.